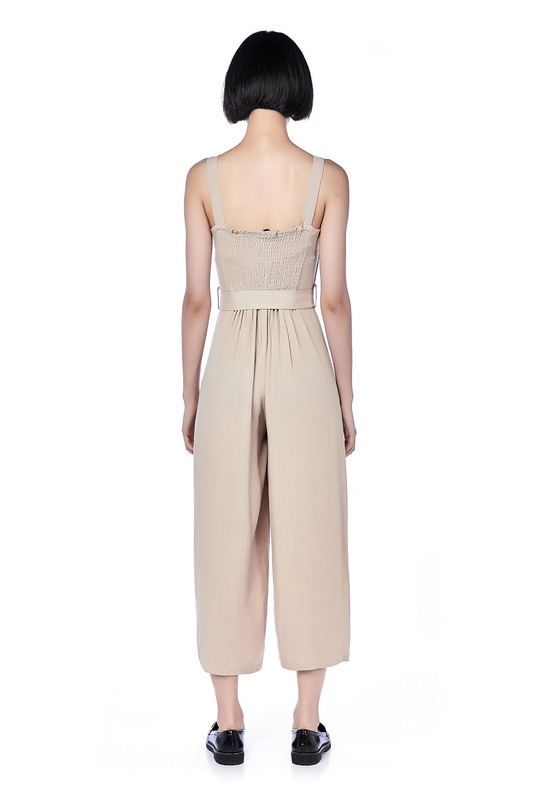 This sleeveless jumpsuit is made from linen cotton. 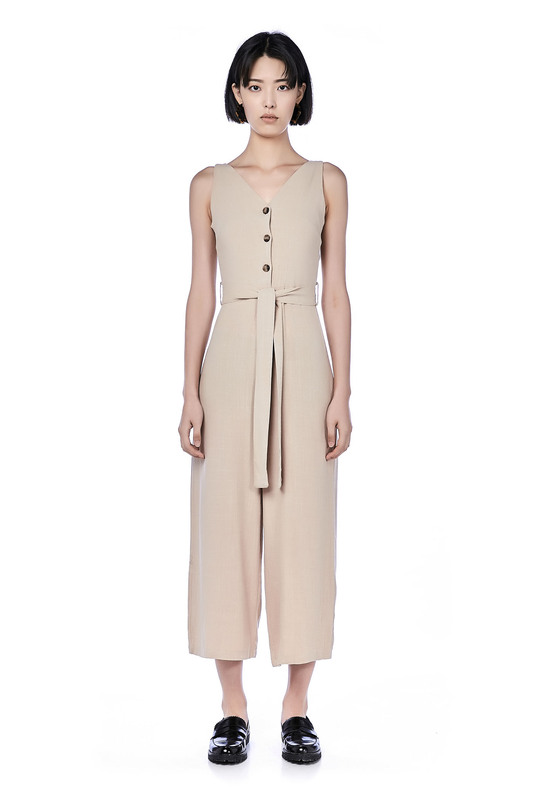 It has a v-neckline and features button detail on the front and culotte bottom. 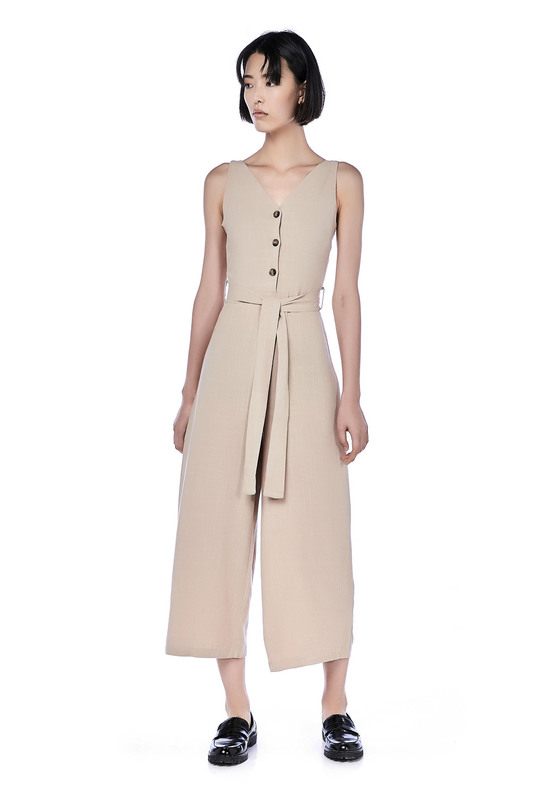 Includes a removable sash belt at waist, made in a slim fit. BUST 30" 31" 32" 34"
WAIST 25" 26" 27" 30"
HIPS 29" 31" 33" 36"
THIGH 11.5" 12" 12" 12"
LENGTH 49" 50" 51.5" 52.5"